Kobe University, Iwate University and Tohoku University supports the Third UN World Conference on Disaster Risk Reduction. 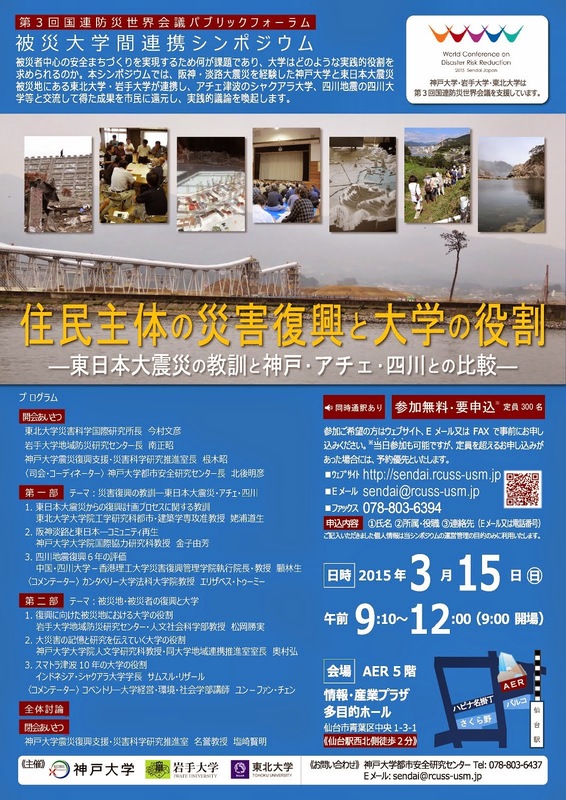 © 2015 Website hosted by Kobe Univ. RCUSS-USM.